The Residence Britania is ideally situated in the centre of La Tania, with easy access to the resort’s amenities. The apartments are spacious and all of them have balconies overlooking the forest and the Massif de la Vanoise. Recently refurbished to a good standard, they offer a comfortable and modern style. All studios/apartments have a balcony, living/dining area with TV, kitchenette with 4 hotplates & dishwasher and a bathroom with bath and/or shower & wc. Bed linen included. Towels & end of stay cleaning are pre-bookable or available locally. As above with one double and one single sofa bed and a pull-out bed in the living area. Bedroom with two single beds and living area with one single sofa bed and one pull-out bed. As above but the living area has an extra pull-out bed. Whilst La Tania is a quiet resort it is an excellent base from which to ski to the Three Valleys. The Britannia Apartments are exactly what you need for a self-catering holiday base: clean, roomy and very well equipped. 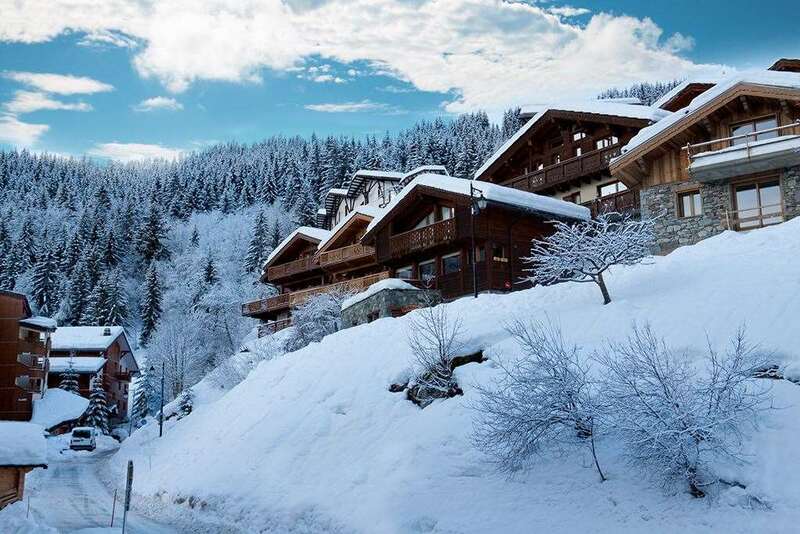 The apartments are truly ski-in / ski-out with the piste only 20m from reception and the main lift only 200m downhill. The block has good sized free ski lockers that can easily fit 7 sets of skis and boots. The only drawback is that is it over a very lively bar which can get a bit noisy (but why not join in?). Comfort pack for TV, linen and end of stay clean is well worth the money. A supermarket (unfortunately quite expensive) is located in the same block and there is a bakery only a very short walk. There are several excellent restaurants in La Tania all within 5 minutes of the apartments. Overall highly recommended.